Teal and pink earrings - studs. 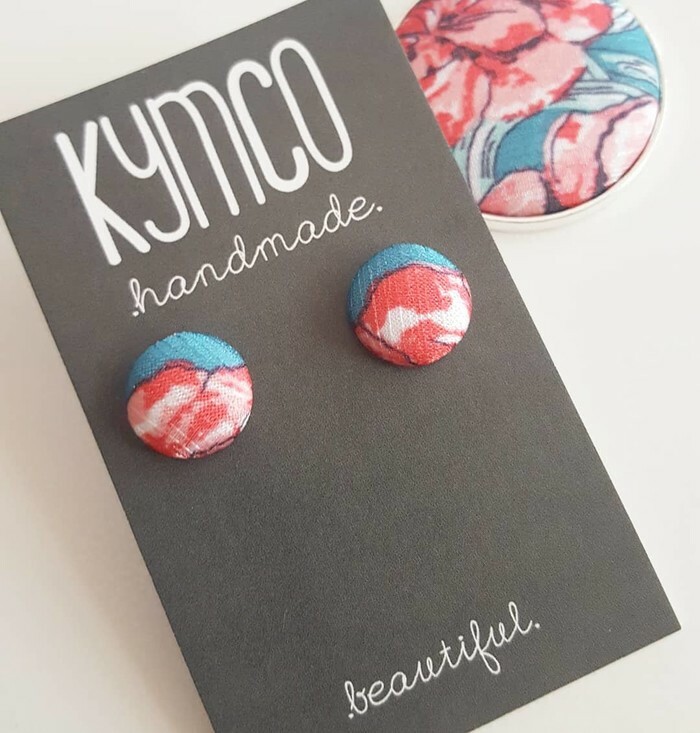 These stunning earrings will add a special touch to a special outfit with a handmade fabric teal and dark pink stud ready for you from KymCo Handmade. If you love these earrings but would prefer a different fabric, most fabrics you see on this page, instagram or facebook can be made into earrings. Please send me a message - that's the beauty of handmade, I can make to order!